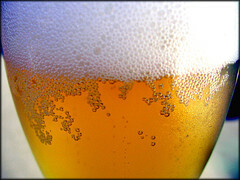 Beer...it's smelly to make, but refreshingly exhilarating to drink, especially on a hot summer day. Beer goes well with everything, including pizza, Asian curry, and Thanksgiving dinner. 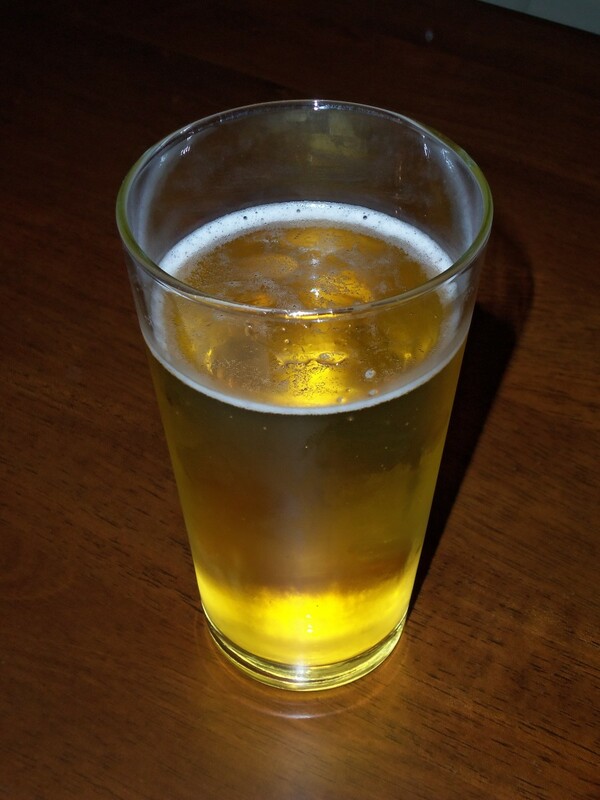 Beer is enjoyed during active social gatherings and quiet, reflective moments. 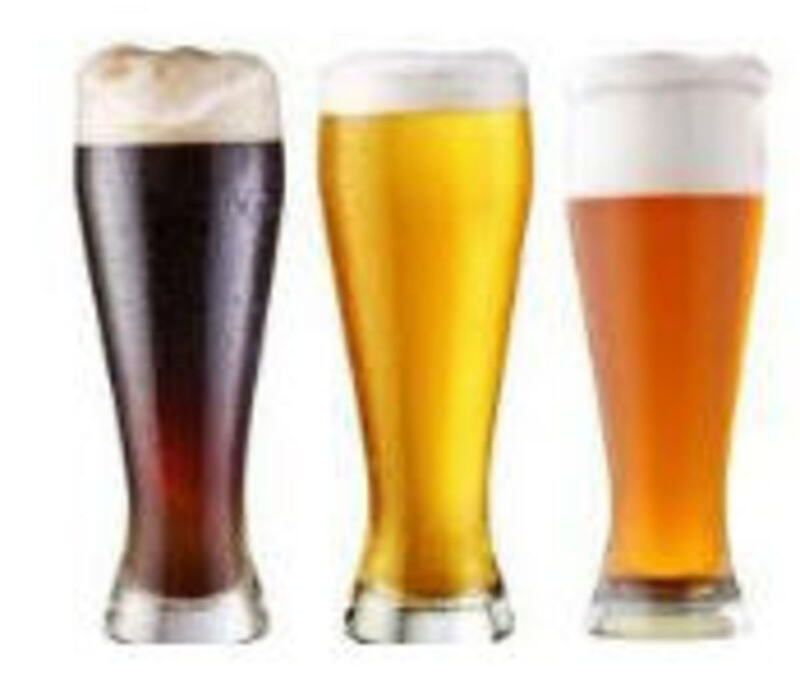 Beer can be consumed in many different ways and quantities..kegs, bottles, and cans. In Colorado, many microbreweries provide consumers with a variety of brews ranging from the classic tastes to interesting combinations and crafts. Below are a glimpse into what some of the best Coloradan microbreweries have to offer to beer lovers both locally and nationally. In 1979, two University of Colorado professors applied for and received the 43rd brewing license in the United States. The Boulder Beer Company, Colorado's first microbrewery, was born shortly after that in a small farmhouse northeast of Boulder. 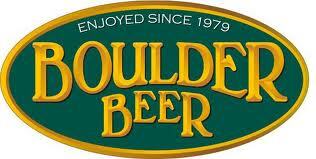 In the early years, Boulder Beer Company became known for their two bold beers, Boulder Porter and Stout & Extra Special Bitter. This resulted from an already established market of lighter beers. Within five years of opening, the Boulder Beer Company moved to its current location in Boulder and expanded from a one-barrel brewing system that shared space with goats to a 50-barrel brew house. Today, Coloradans continue to place winning votes on the Boulder Beer Company's two most popular beers, Buffalo Gold and Singletrack Copper Ale. Both were introduced to the BBC by brewmaster David Zuckerman. The Boulder Beer Company introduces new beef flavors yearly and are always rotating in interesting seasonal goodies. Hazed & Infused: a dry-hopped ale. 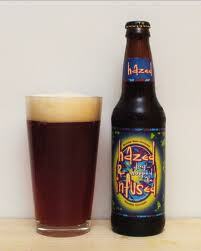 This amber ale is unfiltered and "hazed" in its natural state. During dry-hopping, Crystal and Centennial hops are infused. Four different hops varieties are used in this brew, giving it a full-mouth feel and smooth finish. Buffalo Gold: a golden ale. First brewed in 1989, this is a favorite in Colorado. Cascade hops gives this ale a mild malt flavor with a unique floral character. This is Boulder Beer Company's lightest tasting beer. Mojo: an India pale ale. This beer is pale in color but filled with flavor. The Amarillo hop makes this beer balanced in malt character and bitterness. Singletrack: a copper ale. A medium-bodied ale, the Singletrack is brewed with caramel malt and toasted rye, giving it a nutty aroma. Sweaty Betty: a blonde, wheat ale. 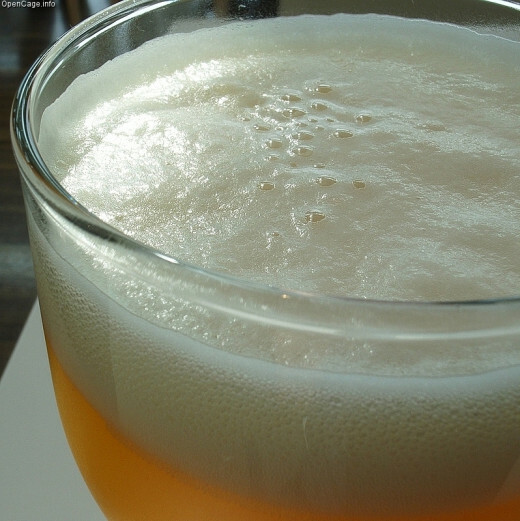 This beer is an unfiltered Hefeweizen, a Bavarian-styled ale brewed with Weinstephan yeast. The subtle aroma of clove and bananas is present in this brew. Planet Porter: a dark ale. This brew seemingly has a hint of coffee flavor in it. This black malted brew is Boulder Beer Company's oldest recipe that is still in use. Flashback: an India brown ale. Brewed with five hops additions, this ale sports a citric aroma. Biscuit and chocolate malts are combined with Cascade hops to create this unique blend of goodness. Mojo Risin': a double India pale ale. Kinda Blue: a blueberry wheat beer. Killer Penguin: a barleywine ale. A Honey of a Saison. In 1989, Jeff Lebesch was riding his "fat tire" bike through European villages dreaming of perhaps starting a brewing company. Jeff returned to Fort Collins, CO with a few ingredients in his luggage and flavorful ideas in his head. Jeff started two recipes in his basement. He named the brown dubbed Abbey and the amber ale Fat Tire. Using two repurposed dairy barrels, Jeff started to perfect his brews in the evenings after hanging up his hat as an electrical engineer during the day. When his friends and acquaintances started to applaud him for his brews, along with the help and vision of his social worker wife, Kim, Jeff Lebesch commercialized his operation and, in 1991, they started to explode the business into what it is today. They continue to use their good friend, Anne Fitch's watercolors on their labels. Today, Jeff has moved on to new adventures, while Kim and Belgian Brewmaster, Peter Brouckaert, continue the tradition of bringing great brews to people in Colorado and around the world. Fat Tire: an amber ale. 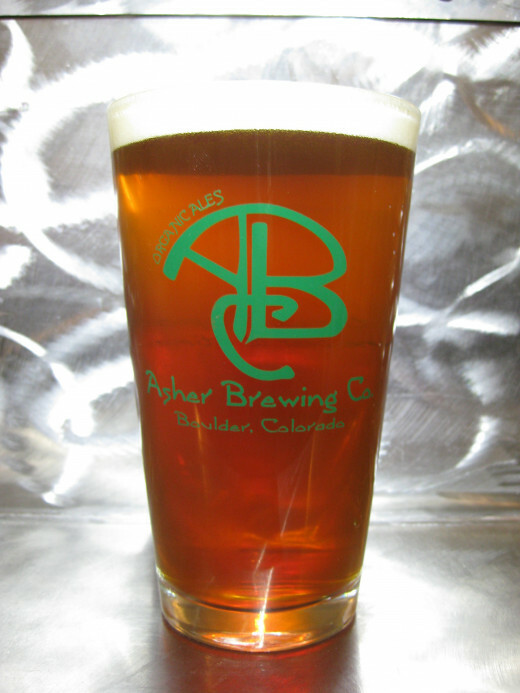 For some, this is not just any amber ale, but THE amber ale to drink in Colorado. 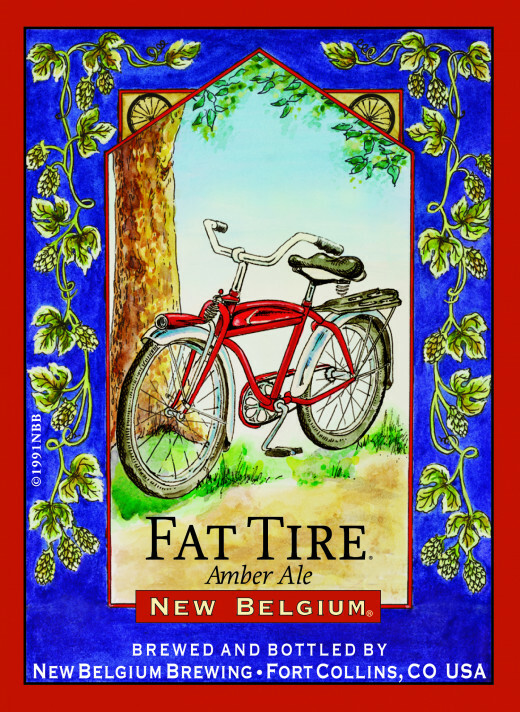 One of Belgium Brewing Company's original beers, Fat Tire has a sweet, biscuit-y aroma blended with caramel malt, with hints of green apple and fresh fennel. The toasty malt flavor leaves a gentle sweetness in your mouth. 1554: an "enlightened black ale". This dark beer is brewed with a lager yeast strain and chocolaty malts. Words and phrases used to describe its taste includes: sweet, spicy, rooty, peppery undertones, and lingering fruit acidity. Blue Paddle: a pllsner/lager. 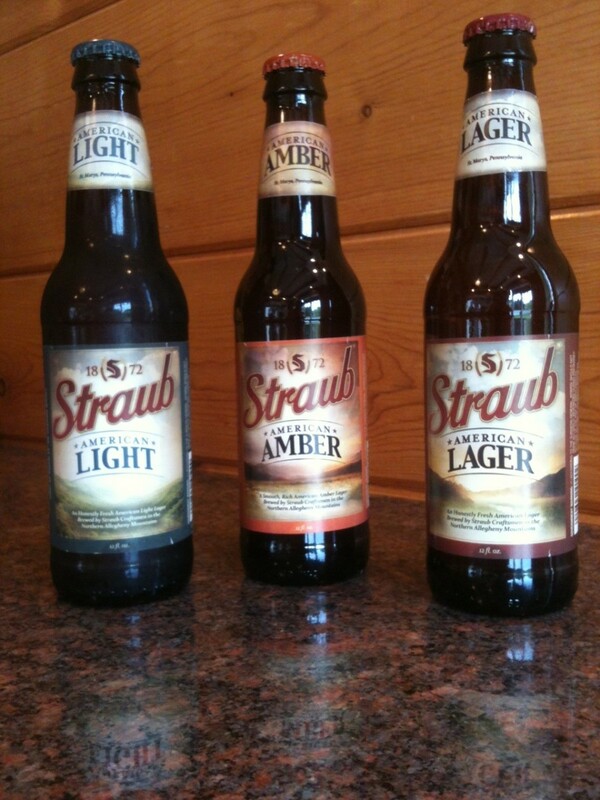 Born in April, 1999, this Czech-style lager has light to medium body. In the background is a sweetish malt flavor. There is a slight bitterness to this beer. Sunshine: a wheat beer. Back in May, 1992, this beer was created with Target hops and Pale, Carapils, and Wheat malts. This resulted in a beer with fruity, spicy, herbal flavors. There is a great combination of sweet, tangy, and tart with hints of apple, honey, and sage. Shift: a pale lager. 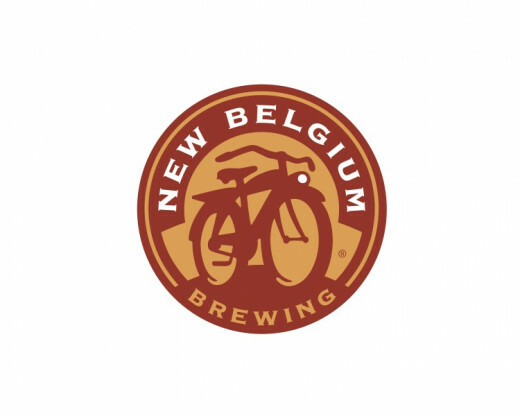 This medium-light lager was created by the New Belgium workers as an end-of-shift beer. It is a smooth blend of pale ale and lager. Shift is packed with a fruity, herbal aroma. Belgo IPA: a Belgian-style India pale ale. This golden-colored ale has a range of aromas and tastes which start off fruity and a strong, bitter crisp finish. Ranger IPA: an India pale ale. This hoppy ale is "deliciously bitter". There is a nice blend of caramel and and pale malts. The Ranger IPA is a medium-bodied ale. Trippel: a Belian-styled ale. Made with a Belgian yeast strain, this ale has a clove-like, spicy aroma. It is a medium-full bodied ale that is spiced with a hint of coriander. Abbey: a Belgian dubbel. This double-brewed ale was one of the original beers, alongside Fat Tire, that was brewed by the New Belgium Brewing Company. Abbey has a blend of banana, peppery, clove-like, spicy, chocolate-y flavor to it as a medium-full bodied ale. Snow Day: a winter ale. Medium-bodied. Red Hoptober: a fall ale. Medium-bodied. Somersault: a summer ale. Light to medium-bodied. Cascara Quad: made with dates and coffee cherries. Heavenly Feijoa: a taste of pineapple guava. Biere de Garde: pale malt and oats with a citrus-y bite. Imperial Coffee Chocolate Stout: a coffee and chocolate dark beer. Peach Porch Lounger: peach, molasses, and lemon peel, oh my! Super IPA: a hop-dominant ale brewed in collaboration with Alpine Beer Co.
Tart Lychee: an American wild ale. Lychee and cinnamon flavors. La Folie: a sour brown ale that rests in French oak barrels for three years before being bottled. Bretta Beer: brewed in collaboration with Lost Abbey. A fruity taste from wild yeast. Fresh Hop: an India pale ale. Brazen and deliciously bitter. Biere de Mars: an ale brewed with spices. Hints of mango and lemon. Billy's Beer: a full-bodied beer only available on Tap in Northern Colorado. Frambozen: a raspberry brown ale. Brewed only around Thanksgiving each year. Trip XI: a collaborative beer between New Belgium and Elysian. It will only be sold in draft and 22 oz. bottles in the Northwestern United States. In 1989, Doug, Wynne, and Corkie Odell started their brewing odyssey in a converted grain elevator from 1915. Their selling of "craft beer" brewed in small batches led them to be the second microbrewery in the state. Doug's passion for crafting beer was brought to the forefront after years of perfecting recipes in his Seattle kitchen. During his initial years, his energy was focused on refining two specific recipes, known today as their 90 Shilling and Easy Street Wheat. During the earlier years, Doug would brew his beers, keg them, and hand-deliver them to clients in his mustard-colored Datsun pickup truck. When clients were done, he would pick the kegs back up with them. Corkie's job was to clean out the tanks and Wynne kept the books straight for the company. In 1994, Odell moved to an 8,000 square foot, newly-constructed brewery where they were able to 8,300 barrels of beer. 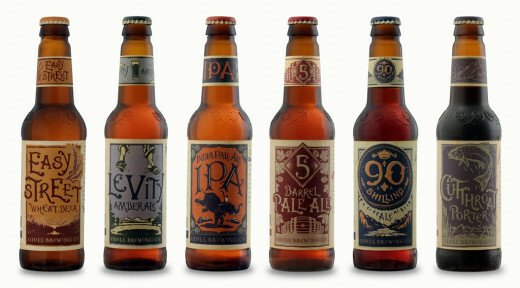 In 1996, Odell expanded from a draft-only service to including a bottling line and Odell six-packs were born. Currently, Odell's brewery is 45,000 square feet and their 65+ workers brewed 58,000 barrels of beer in 2011. Easy Street Wheat: an award-winning unfiltered, American wheat beer that is light and refreshing. There is a light, citrus flavor to this because the yeast has been left in. Levity Amber Ale: a lighter amber ale. This full-bodied beer is made with Munich and honey malts. It is named for it's light color. 5 Barrel Pale Ale: a uniquely brewed beer. There is a distinctive hops character in this beer as a result of extraction of the essential oils. There is also an infusion of fresh, whole hops flowers in the Hop Back and the Fermentor, as well as four hop additions during the kettle boil. This gives the beer a fresh, lively aroma. 90 Shilling Ale: their flagship beer during the company's 1989 opening. This beer is a result of attempts to lighten up Scottish Ale, resulting in a medium-bodied amber ale. IPA: a bolder and more flavorful version of the original IPA shipped from England to India in the 1700s. A variety of American hops have been added to an incredible hop character and a distinctive bitterness profile. Cutthroat Porter: not quite a stout, but not a lightweight either. Dark roasted malts are used to create a rich, deep color and flavor with hints of chocolate and coffee. This beer is named after the Colorado state fish. The Cellar Series is a group of beers that the brewers at Odell are having some fun with as they dream up new creations and come up with unique, never-before brews. Amuste: is it a beer or is it a wine? 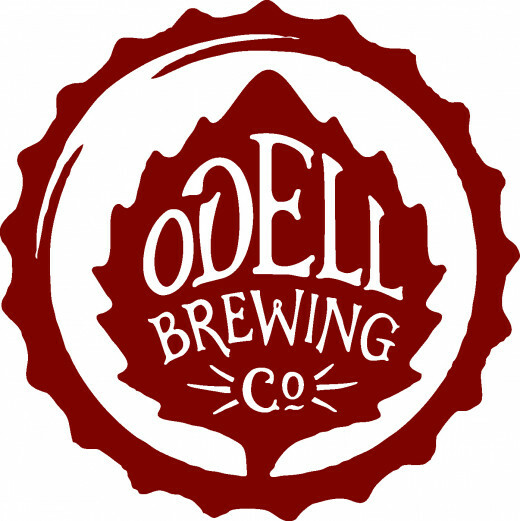 After two years of trials and tweaks, the perfect combination of wine and beer has come forward as one of Odell's unique brews. This drink is an Imperial Porter aged in oak wine barrels that are accented with juice from Tempranillo grapes from western Colorado. The Meddler: an oud bruin ale. This is a combination of several generations of brown ales aged in barrels. Wild yeast, Lactobacillus, and Brettanomyces "meddle" with the brew for 18 months. There are hints of malty, sweet chocolate and vanilla in this brew. Deconstruction: a golden ale. This is a beer that starts off sweet in your mouth, changing to a tart, lingering flavor resembling grapefruits and apples. There is a hint of fruit and mild spices. Pond Hopper: a collaboration brew. Doug O'dell's intrigue in the British brewing culture led to this collaboration brew with Thornbridge Brewery. The Pond Hopper is a double extra pale ale. Friek: an evolutionary beer invented byt the brewers. Multiple kriek, Lambic-style ales are fermented with wild yeast and tart cherries before being moved to oak barrels and sour, leaving a cherry flavor in the brew. During the maturation process, raspberries are handpicked and added before the final blending. Shenanigans: a brilliant mistake. This oak-aged crimson ale started off as part of another endeavor but due to its success, it became an ale of its own. This rich amber malt has hints of dried fruit and light citrus. Foot Print: a region ale. This ale was created using contributions from all 10 of Odell's distribution states. A tribute to the states, this ale used a little something from each state to brew. Red Ale: a classic American style red ale and then some. Available January through April. St. Lupulin: a dry-hopped extra pale ale. Available May through September. Isolation Ale: a sweet caramel malty ale. Available October through December. Myrcenary: a double India pale ale. Available year-round. Lugene Chocolate Milk Stout: a hearty malt. Available January through March. Double Pilsner: a tribute to the classic Bohemian pilsner. Available May through September. Mountain Standard: a double black India pale ale: Available September through December. 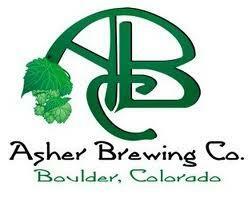 On November 20th, 2009, Asher Brewing Company opened its doors as Colorado's first organic microbrewery using environmentally sustainable and socially responsible business practices. Their brewery depends on 100% wind power to function. On February 25, 2010, organic certification was issued to all their beers. While at Wesleyan University, Chris Asher started brewing beer and teaching home-brewing classes. After he was done with college, Chris brewed for the Golden City Brewery in Golden, CO.
Armed with a Master's degree in Business Administration from the Leeds School of Business at CU Boulder, Asher ran the RedFish in Boulder for five years before starting Asher Brewing Company. As a three-year young company, Asher Brewing has already been awarded two GABF silver medals and a gold medal. With a belief that better ingredients make better beers, all Asher Brewing Company beers are made with the finest organic malted barley and organic hops. Greenade Organic Double India Pale Ale: a "taste bud attack". This double IPA is hop dominant yet smooth and creamy. There is a balance of citrus and floral hops aromas. Green Bullet Organic India Pale Ale: a tribute to 18th Century British brewers. Organic barley hops in this brew gives it a carmel, earthy deepness. The dry-hopped fermentation process in making this beer allows the bold tanginess of organic American hops to come through. Tree Hugger Organic Amber: a full-bodied American classic. Crystal and Munich malts bring a caramel flavor to this brew. There is a toffee aroma in this beer. Green Monster Organic Strong Ale: an Old Ale. Brewed at a low mash temperature, most of the sugars are fermented out of this beer, creating a smooth aftertaste following a bold caramel flavor. This beer has been described as "an immediate head rush." Green Lantern Organic Kolsch: Germany's answer to the British pale ale. Originated as the local beer of Cologne (Koln) in the early 20th Century. This beer is fermented with its own special ale yeast and brewed with a Pilsner malt, resulting in a smooth balance with a dry, hoppy finish. The first microbrewery in Colorado. What Does the Beer You Drink Say About Your Personality? I'm a big fan of Odell....great info! KawikaChann, I am glad you enjoyed my hub. I would agree that micros are awesome! I didn't realize the Portland area also had a bunch of them. If you're ever in Colorado, you'll have to check out the local brews here. Thanks for reading and voting up! This is a well written article, I love the micros and am only familiar with the Fat tire and it's varieties. I live in Portland, O and we have a lot of micros here - all very amazing, and all very, very, flavorful. Vote up/awesome/following. Peace. Kawi.